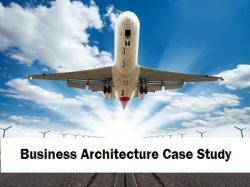 Launching a business architecture program is challenging. Culture, politics, and even our own thinking present significant challenges. Though the challenges are great, the benefits are even greater. Organizations struggling to realize their goals and move their companies forward are in desperate need of the solutions business architecture offers. This webcast features two industry experts who will share their insights into the world of Business Architecture, including the challenges, the opportunities and the road ahead. Jeff will pinpoint the critical challenges of starting a business architecture practice and identify the specific steps you can take to move from startup to sustainability. Jeff will talk about the current state of the business architecture profession, roadblocks to avoid and best practices from successful business architecture practices. Diane gives a high level overview of the Business Architecture journey at United. She will walk you through United’s journey of establishing and growing the Business Architecture discipline and how United applies Business Architecture. She provides insights into the challenges they faced and continued to face as well as highlight some of the early success that allowed the team to become established and continue to mature.